After MMA superstar Conor McGregor made his boxing debut on Saturday and earned the biggest purse of his career in the process, we take a look at his next possible fight options. The outcome of The Money Fight against Floyd Mayweather – a 10th-round stoppage defeat – does not suggest that McGregor will give boxing a second try in the nearest future. But the Irishman is not looking to hang up his MMA gloves, despite the amount of money he made in the Mayweather megafight. “Everyone is like, ‘Oh, he’s going to retire – he made so much money.’ He’s ambitious. He’s super ambitious, and he loves to fight,” his manager Audie Attar told mmajunkie.com right after the Las Vegas fight. “He loves to compete and he’s a superb professional athlete. So there’s much more of Conor McGregor that everybody will see, and we’ll see what’s next,” he added. Among the options he mentioned are a possible third fight with Nate Diaz, a match-up against the winner of the interim lightweight title fight between Tony Ferguson and Kevin Lee, or bouts with number one lightweight contender Khabib Nurmagomedov and featherweight champion Max Holloway. This is the fight that makes most sense sports-wise. The UFC organizes the interim title fight, while its champion takes a break to fight by the boxing rules and promote the company and the sport of MMA. Thinking logically, the interim lightweight champion from the announced fight between Tony Ferguson and Kevin Lee should fight the reigning champion, McGregor. Yet there is no guarantee that the fight will happen. 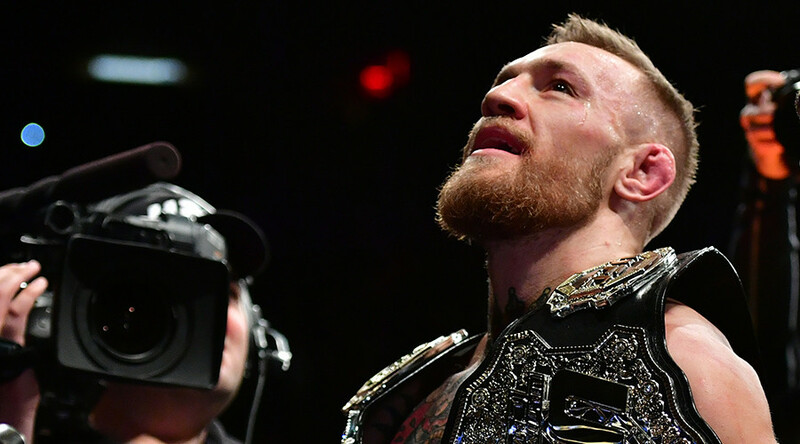 UFC head Dana White has already said that the interim champion will not necessarily face McGregor next. “I don’t know, we will see,” he said answering a question on the matter. The UFC, which has been considering commercial issues more and more in recent years, was sold to the William Morris Endeavor entertainment company for $4 billion in the largest franchise sale in sports history. And if the fight between the champion and interim title holder does not make sense financially for the UFC, it will host one that does. Despite the fact that Ferguson has been undefeated in his last nine fights, he still lacks popularity and has headed an event only once, when he fought Rafael Dos Anjos at Fight Night 98 in Mexico City. Similarly, Kevin Lee has a solid UFC record of nine wins and two losses, but started to make the headlines only recently. However, Lee’s outspoken nature could make him a good opponent for McGregor in the pre-fight media activities. 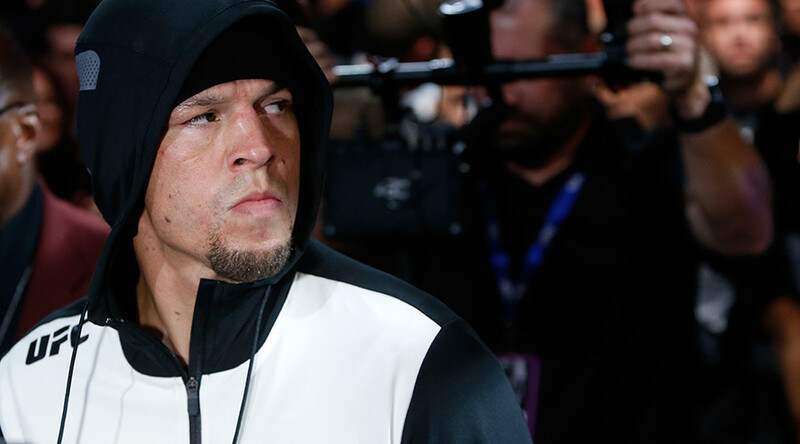 The first two fights between McGregor and Nate Diaz took MMA to a completely different level of popularity. 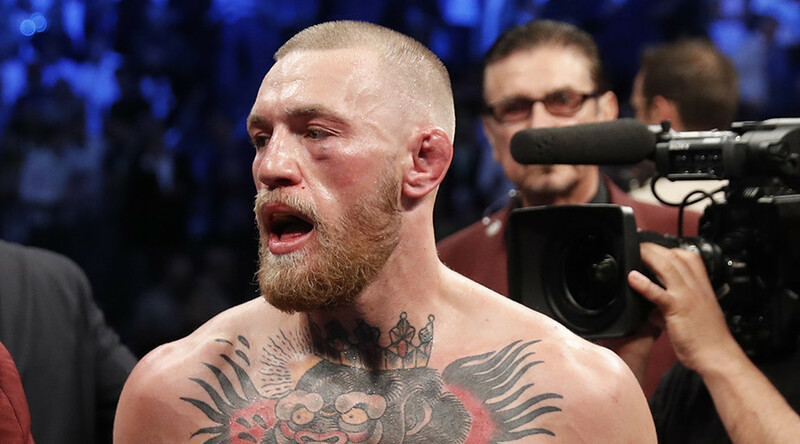 The second bout helped to break the UFC record for the highest selling pay-per-view event at that time, with 1,650,000 buys, largely because of McGregor’s ability to sell fights and make a show of every aspect of the preparation to the bout. But the fact that Diaz made the Irishman tap in the first fight, and only lost via decision in the second, keeps the story open for McGregor. With the current score seeming to favor Diaz, the two need a third fight to determine once and for all who the better fighter is. And it is that aspect that could give the fight extra media hype. Plus keeping in mind the amount of financial investment and the entertainment nature of the promotion’s new owners, the UFC will now put financial success over sporting principles. “He wants that trilogy (with Diaz),” McGregor’s manager told MMAjunkie. And most likely we will see the pair fight sooner or later. The only question that remains is whether the bout will be the first one after McGregor’s boxing debut or not. Khabib Nuramgomedov has a huge fan base in his native Russia. Each of his public appearances in the last two years have ended up with his followers storming the events – whether it be a Reebok store or a big exhibition center. His popularity in the States seemed to be on the rise after his UFC 205 victory and famous post-fight speech. However, it took a sizeable hit following his enforced pullout from the fight with Tony Ferguson due to health issues in March, when the pair were supposed to fight for the interim title. Victory in that fight and a new rise in popularity would definitely have elevated Khabib to a position to fight McGregor for the lightweight belt. But the pullout, which became the third in the Russian’s UFC career, seemed to destroy his chances to face McGregor. The possible fight, however, has been brought up by McGregor himself. UFC head Dana White told reporters that the Irishman wants to fight Khabib in Russia. Hosting the UFC event in Russia would give the promotion bigger exposure worldwide, but would not necessarily be lucrative, considering the time zone differences which would destroy the chances to gain a pay-per-view income. There is also the current exchange rate between the US dollar and Russian ruble to consider, which would make entrance tickets less attractive for local spectators – unless the UFC finds local sponsors to cover the expenses. 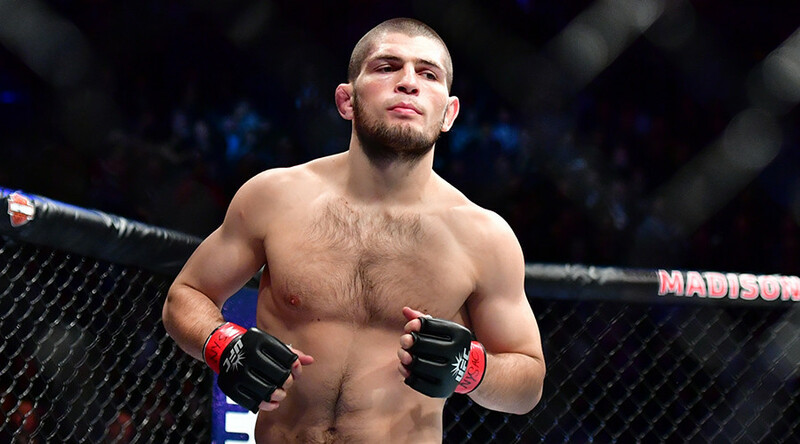 While the talk of a UFC event in Russia remains purely speculation, Nurmagomedov himself called out McGregor in the States at the UFC 219 event in Las Vegas on December 30. The ball at the moment is firmly in the Irishman’s court. We are yet to see if McGregor will ever talk about fighting Khabib again. When McGregor and Max Holloway met for the first time in 2013, the Irishman was just on the rise and was fighting only his second UFC bout. Since the decision loss to the Dubliner, Holloway went undefeated for the next four years and as many as 11 fights. His last two fights headed pay-per-view events, where he claimed TKO victories on both occasions, first by finishing Anthony Pettis for the interim featherweight title, and then Jose Aldo to unify the UFC Featherweight Championship. 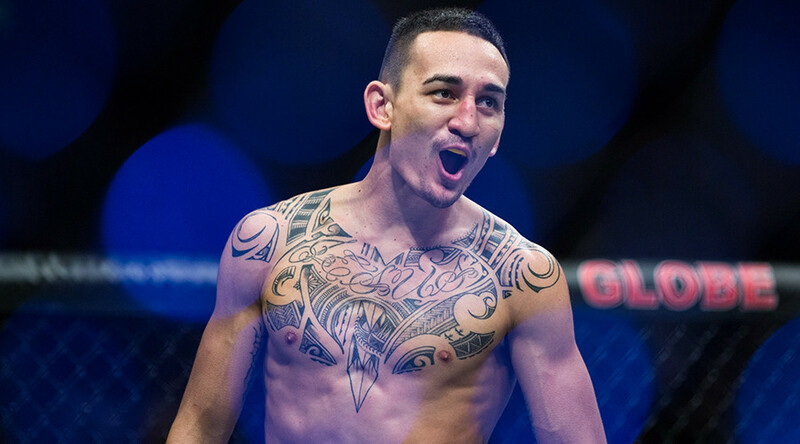 Being the reigning featherweight champion with an unbeaten record since his fight with McGregor, including six knockout victories, Holloway is a very exciting possible opponent. Speaking on The MMA Hour show on Monday, the fighter confirmed he is willing to fight McGregor again, stating that he has learned a lot about himself since his last defeat.